Social media continues to grow and organizations are using these tools more predominantly to do research and identify organizations and partners that can help them succeed. This is fundamentally changing the marketing and sales process for both buyers and sellers. This course provides insights and provides a tailored approach for you to become more effective using social media marketing and relationship management tools available today including Linkedin, Facebook, Twitter and other tools and the appropriate use for both B2C and B2B businesses. Professional Sales people are among the most difficult resources to source, hire and to support their success and it is a major investment for organizations. We use proven industry leading Sales Assessment tools to help identify the right balance of skills that are required to help organizations succeed and measure the fit of your current sales personnel or prospective new hires. We can provide these sales assessments and then provide tailored personal selling skills training to help your sales people build a personal development plan to become more successful in a short period of time. Solution selling requires a more sophisticated approach than “order taking”. It includes a requirements gathering and needs analysis, and the development of a solution and tailored approach to manage the sales cycle and be successful. It requires the right mix of time and process management, as well as strong communications & persuasive presentation skills to be successful. We provide tools, templates and a case study to help participants become more successful and improve the professional selling skills. With more organizations demanding higher quality results from their solution providers, there is tremendous value in educating the marketing and sales teams in managing marketing and sales processes for long lead times. Our Solution Marketing and Sales program will train your teams to understand the complexity of the solution sales process and various stages and ultimately manage this process more effectively. They will become more successful at where they invest their time and ultimately improve the return on investment for your organization. 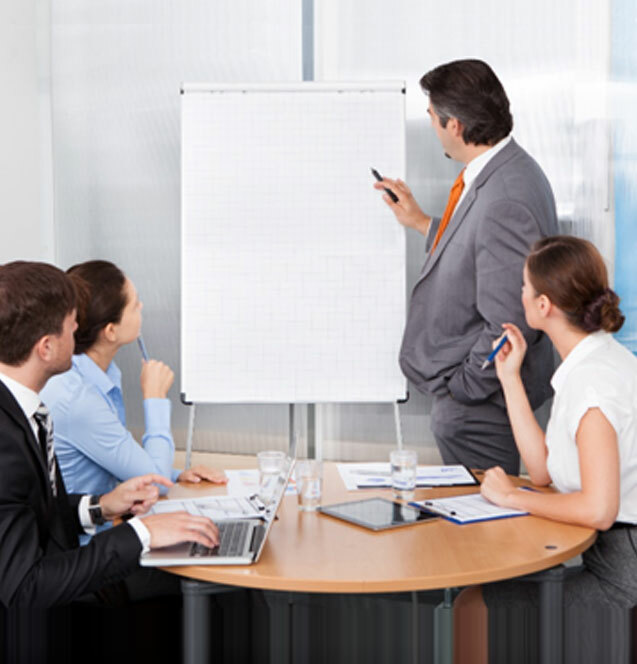 Please contact us today to discuss your training and development requirements.